The Autumn Courses are run out of the Indoor Hall at The Wimbledon Club. The Autumn Courses are all 10 week block bookings (individual days cannot be booked on separately). The Spring Courses are run out of the Indoor Hall at The Wimbledon Club. The Spring Courses are all 10 week block bookings (individual days cannot be booked on separately). All our Half Term Camps now run from Monday - Friday! Times: 10:00 - 16:00 Early drop off (09:00) and late pick up (17:00) available for an additional fee. All our School Holiday Camps now run from Monday - Friday! 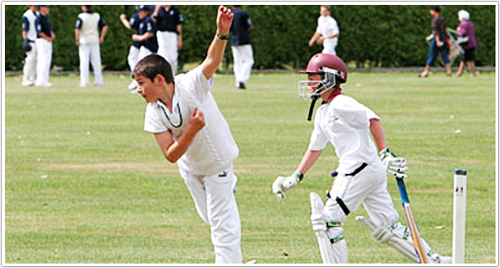 TWCCricketCamps (previously known as S & S coaching) has been running holiday courses in Wimbledon since 2004. We pride ourselves on making sure that children of all abilities learn to have fun, whilst playing cricket. The courses are run by our Cricket Director Jonathan Speller. We have children from over 80 different schools that attend our courses and we make sure that they try and make as many new cricketing friends as possible.